Like many treatments for skin lesions, some discomfort may be experienced. Before treatment your Podiatrist or Dermatologist may decide to debride the lesion. Pain levels vary from person to person but most people undergoing Swift liken it to a pain similar to an injection or a scratch, lasting 2 - 3 seconds then quickly subsiding. Only in rare cases is there any prologed pain. In some cases the treated area may feel sore but will not usually prevent you undertaking normal daily activities. This is dependent on how you respond to treatment. In some cases, you may need more than one treatment (treatment regime is determined by your clinician and your Podiatrist will be able to discuss this with you). With a few exceptions, most people with skin lesions would be able to have this treatment. Swift is not recommended for use on diabetic patients, patients with implanted electronic devices or electrodes or for use close to metallic objects (i.e. metal foot implants, jewellery etc). 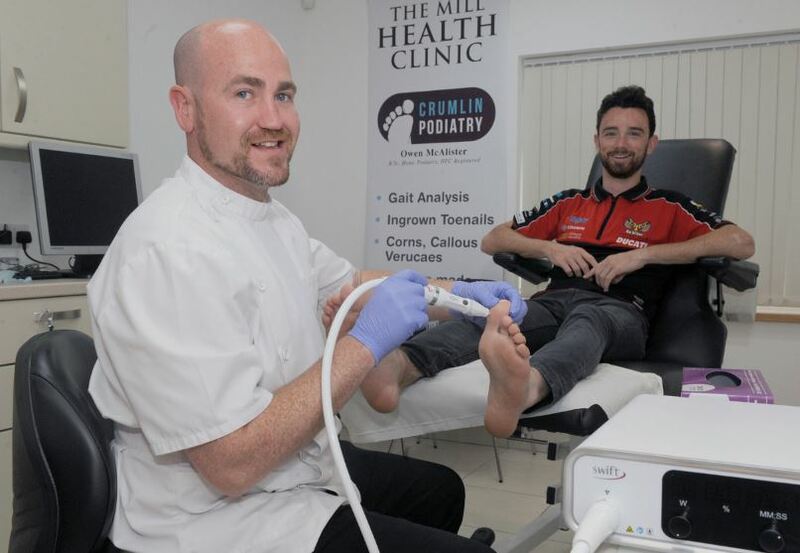 All information read here is based on Patient Information Sheets created by trained, registered Clinicians who are experienced with the product and treatment protocol - Before undergoing treatment ensure your Podiatrist or Dermatologist is registered and has given you the full range of options available.